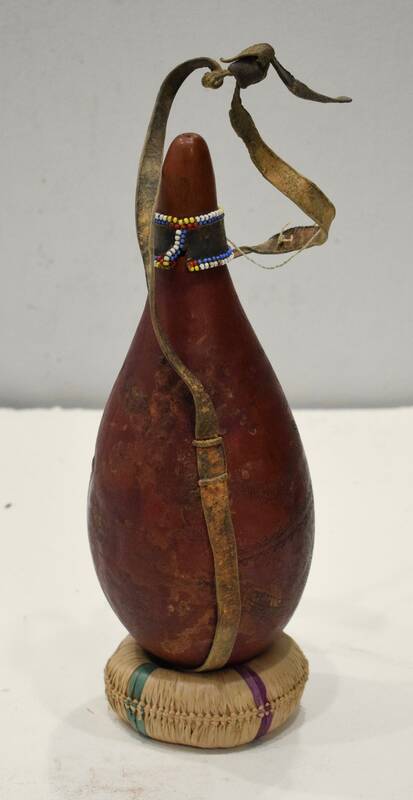 This Old Etched Burnished Milk Gourd comes from the Pokot tribal people of Kenya. Most Pokot art is associated with body ornamentation, including bead work and intricate coiffures and wigs that are worn by young men to signal their membership in a given age-grade. 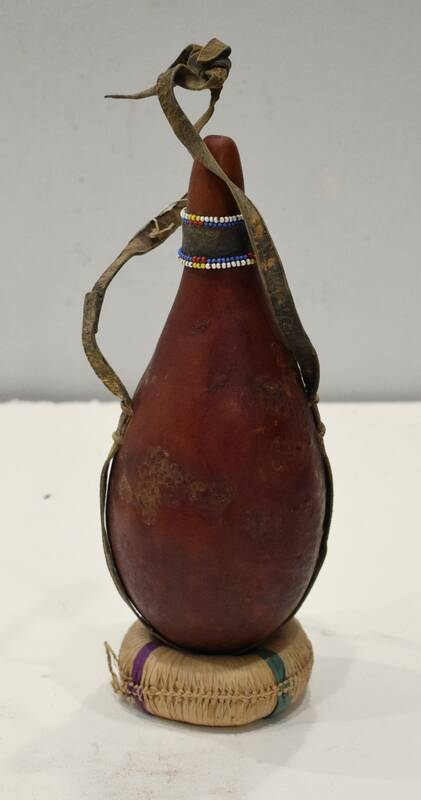 Other forms of art are richly burnished gourds which are milk containers used by women for storage. 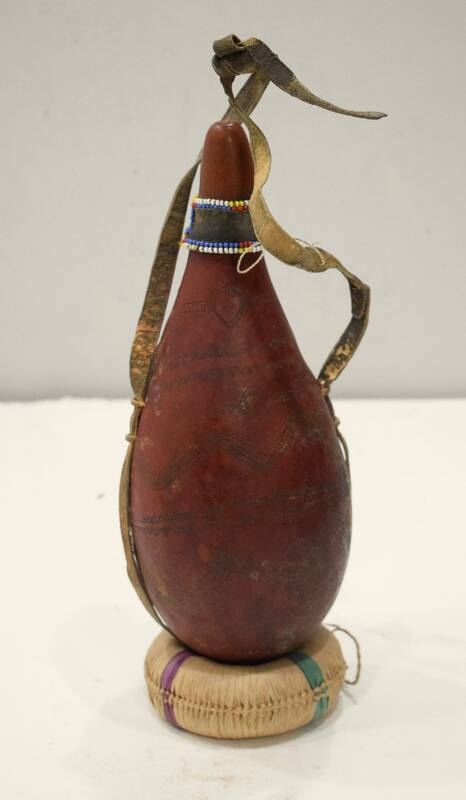 The Pokot have a very unusual dairy product that has been produced by village communities for generations. This product is a yogurt made of cow’s or goat’s milk, mixed with the ashes of the native cromwo tree. It is still prepared today by fermenting the milk inside dried hollow gourds, then adding the ash to give it an aromatic flavor and its unusual light grey color, and is often eaten together with a thick millet porridge. 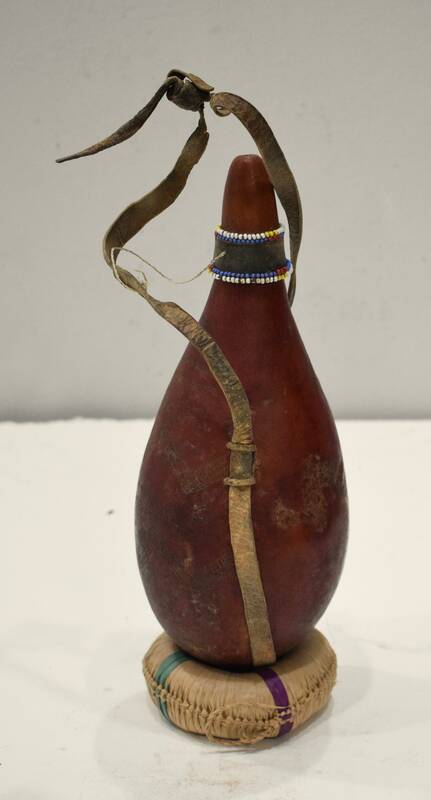 Tribal Milk Gourds are so unique and beautiful as home decor or given as a gift to a man or a woman, or to add to your collection.